LONDON: Liverpool manager Juergen Klopp says his team have shown they are mentally equipped to handle a title run-in, having acquitted themselves well in high-pressure situations over the past few years. 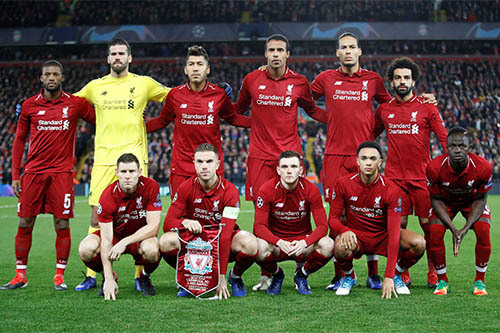 Liverpool, who are five points ahead of defending champions Manchester City at the top of the table, drew 1-1 at home to Leicester City on Wednesday, prompting questions about their ability to stay the course as tension mounts in the run-in. “Yes, there is pressure,” Klopp told Liverpool’s official website ahead of Monday’s league game at West Ham United. “There was pressure last year, a lot of pressure when we played Manchester City away in the quarter-finals of the Champions League, and we dealt with it. “There was pressure (in the Champions League semi-finals) at Rome, there was pressure in so many moments in the Premier League. We had to win each game. Liverpool could end a 29-year wait for the league title if they can hold on until the end of the season and Klopp knows the club’s fans are likely to be feeling tense. “This club has not been champions for 29 years, so how can people sit there and watch it like (they are watching) City?” he said.